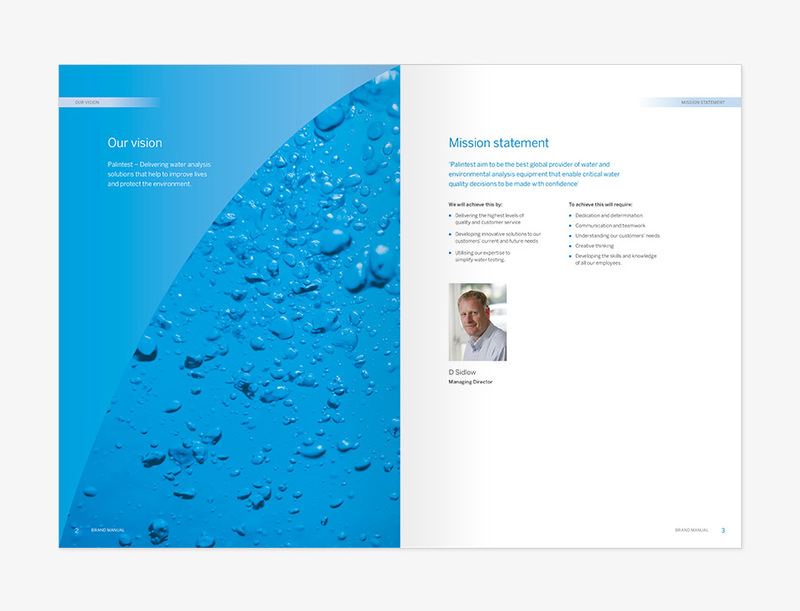 Palintest are a successful water testing manufacturer in the North East of England. 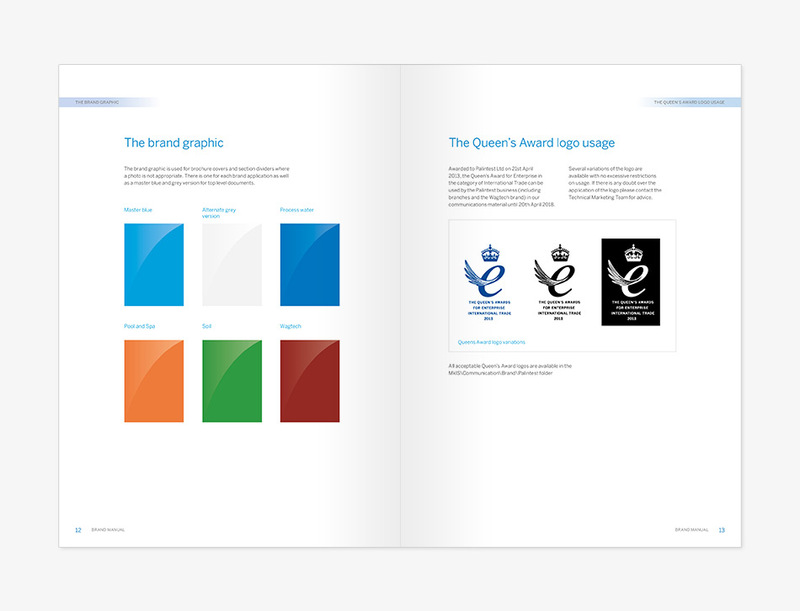 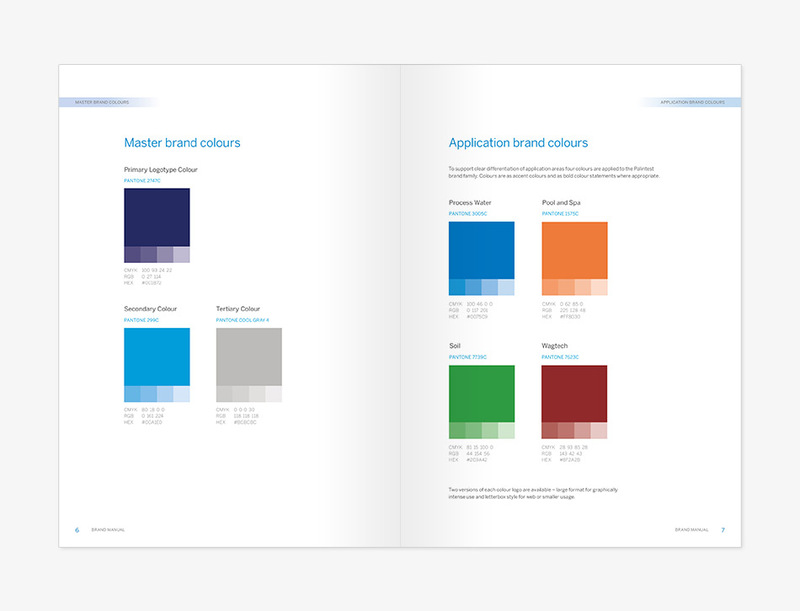 They operate internationally and asked us to produce a brand manual for their brand so it was recognisable and consistent across their range of products and manuals. 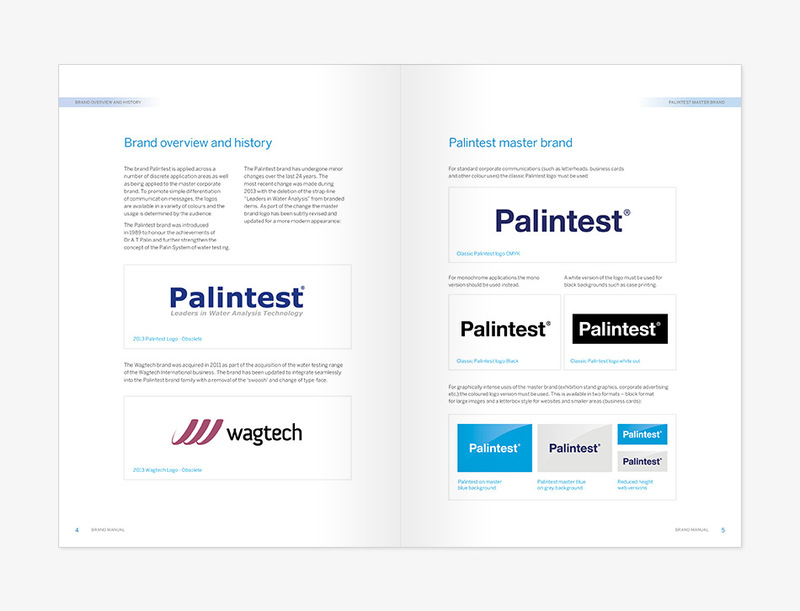 We modernised the Palintest mark and produced a graphic style which is simple to use and compliments their own vision as a market leader.